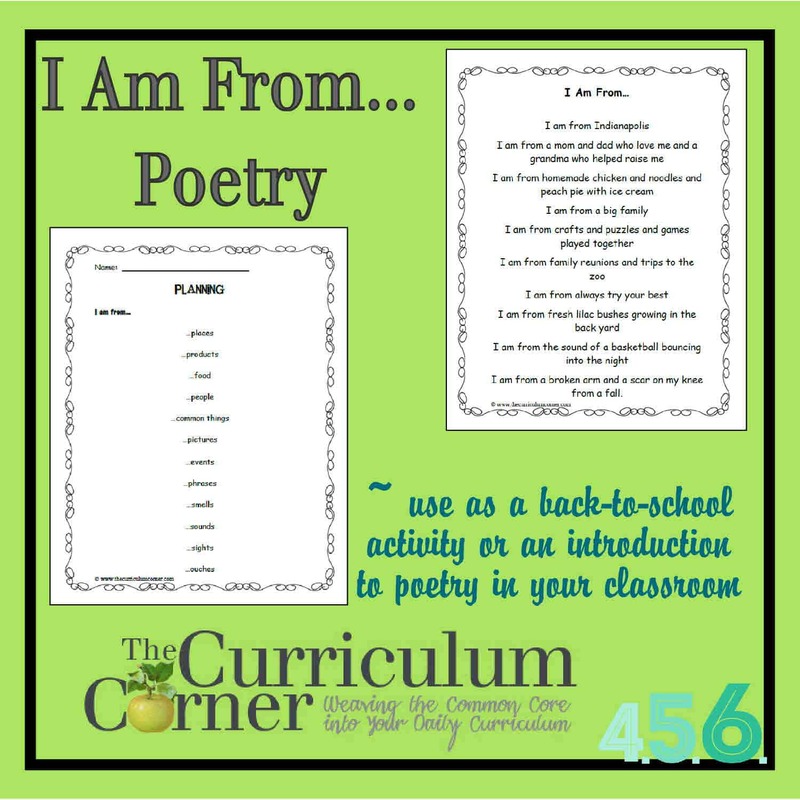 Years ago the teachers in our district went through trainings that included time for each of us to write an “I am from…” poem. These poems were written during meetings and shared with our coworkers. At the time I was teaching fifth grade and this became an activity I used to start each school year. These poems are easy to write and teach you so much about each child. I have reworked the materials I used to teach these in my classroom so that you can do the same. 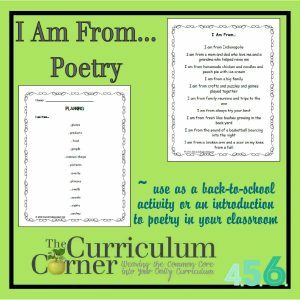 You will be amazed at the poems that evolve in your classroom! I am from lots of love and memories. Planning To begin this project, I would always share my own I am from poem. It was a way for students to learn about me and to see an example of what was expected. I then had my students brainstorm on this planning page. I told them to write all of their thoughts around the page. Once they have completed the planning, they are ready to write. I encouraged them to pick out the ideas they thought were most important in their lives. I often had my students type their poems after writing their rough drafts. Just add a picture in the corner of each poem and you can create a quick, meaningful display for your open house. Or, put the poems together in a book to create a class poetry book. I did this with my grade 4/5’s and they loved it. Now I will let them use their imaginations to create an “I wish I …” poem.